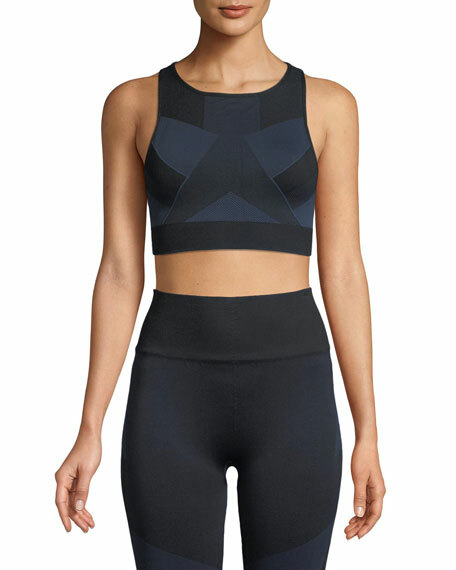 Alala "Score" bra in seamless performance fabric. Provides moderate support for medium-impact activities, such as hiking, dancing, or cycling. For in-store inquiries, use sku #2587876.